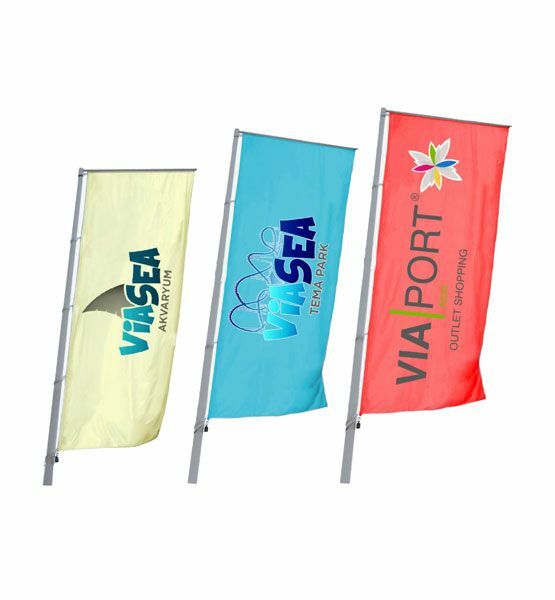 Sail Flag is a type of flag used by every institution and organization that requests to attract attention outdoors or in the fairground. The Visual Difference of Sail Flag brings itself into the forefront a bit more than other flag types. This Difference is also the source of inspiration of many institutions or organizations which request to promote their products or trademarks. 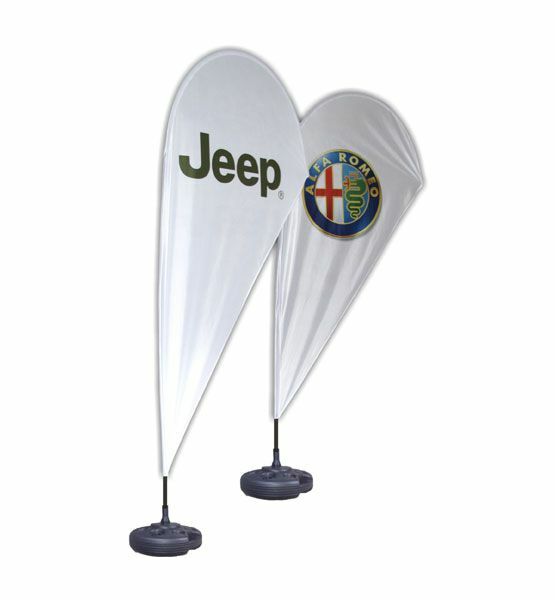 This Sail Flag and Beach Flag type, which we encounter especially on the stands, in front of gas stations, in the sidewalks of small enterprises on the street nowadays, is an effective advertising media. Sail Flag type is prepared for use in order to assemble on the poles made of metal material which constitutes a solid body. It is produced from Polyester Raschel fabric which is resistant to outdoor weather conditions. Digital Printing is made. 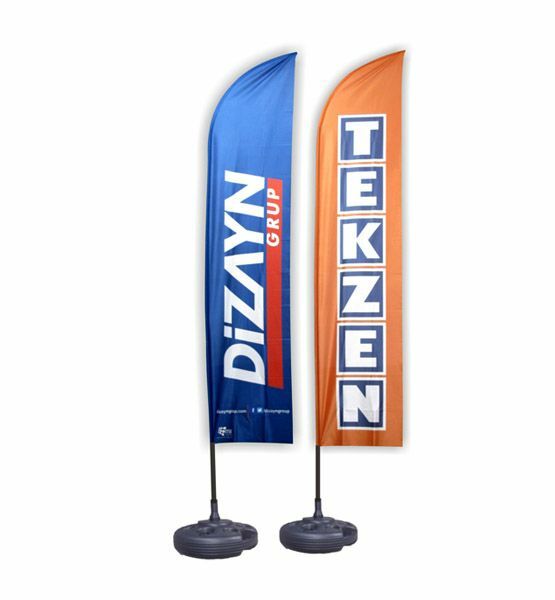 You can order Sail Flag types which you can use on robust float bins or iron base, from our corporate company Seçkin Bayrak. We, as Seçkin Bayrak, are preparing all your Sail Flag and Beach Flag orders as soon as possible.